As far-left film maker Michael Moore made guest appearances this past week, on two occasions he spread provably false information as he wrongly claimed that a Fox News poll found that 70 percent of Americans support raising the top marginal tax rate to 70 percent as advocated by New York Democratic Congresswoman Alexandria Ocasio-Cortez. And, appearing on Friday’s The Last Word on MSNBC, he declared that he wished she could be the next Democratic presidential nominee. On Friday’s The Last Word, as MSNBC anchor Ali Velshi filled in as host, the segment with Moore started with the two fretting over the black face scandal surrounding Virginia Democratic Governor Ralph Northam, leading Moore to turn to the camera and beg the governor to call into the show and announce his resignation. 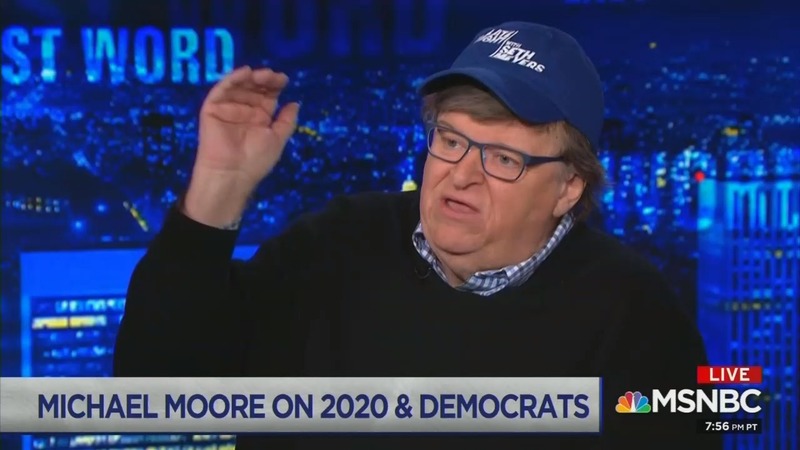 A bit later, as the two discussed the Democratic presidential race, Moore talked up amending the U.S. Constitution as he mused over the scenario of Ocasio-Cortez running for President after she turned 30. She is the leader. She’s the leader — everybody knows it — everybody feels it. She’s the leader of this mass movement that is not — I’m not talking about a movement in terms of an organization. I’m talking about a Fox News poll this week that where it said 70 percent of the American public agree with her on having the top marginal rate for the rich — their taxes — 70 percent rate on the rich. And that’s a Fox News poll saying that — over two-thirds of the country. In fact, the Fox News poll he was referring to indicated that 70 percent support generally raising taxes on families earning more than $10 million a year as the poll did not specify a number as to how high the rate should be. Moore may have been picking up on a Washington Post article that conflated Ocasio-Cortez’s views on taxes with the Fox News poll.